Small business rates relief applicable for each retail unit 430 sq.ft – 2,231 sq.ft. The units are located on Chapel Street and Thistle Street within the popular West End, retail, restaurant and o ce area of Aberdeen City Centre. The subjects are in close proximity to the Grade A offices, The Capitol and The Silver Fin where occupiers include Price Waterhouse Coopers, Dentons, Chrysaor, Verus Petroleum, Barclays and Grant Thornton and with the IQ and Union Plaza o ce buildings providing 3,500 office workers within the West End of Aberdeen. Other neighbouring occupiers include BlueSky Business Space, Tiger Lily Clothing, Pure Man, Foodstory, Bellino Shoes, Hamish Munro and Grape & Grain. 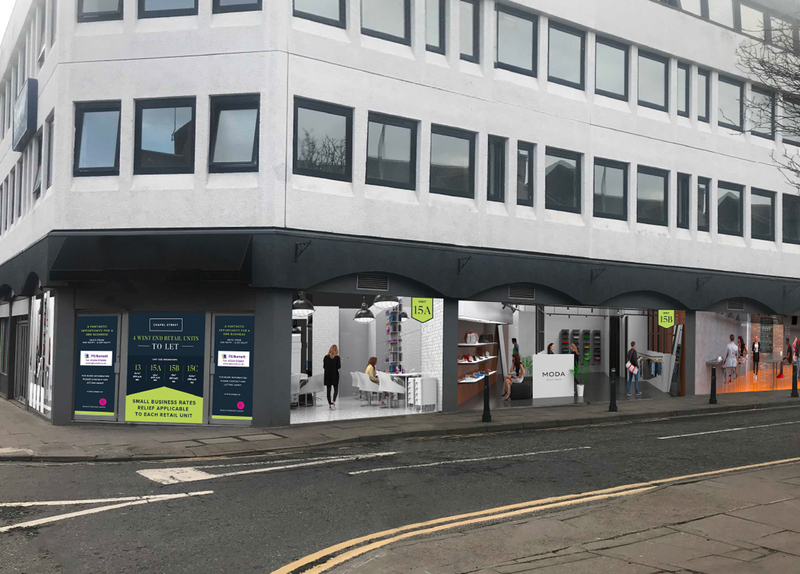 Located close to Aberdeen’s main commercial thoroughfare Union Street where nearby occupiers include Pizza Express, Greggs, Sainsbury’s Local, Café Nero and Starbucks. Chapel Street Multi Storey Car park is also located in close proximity providing 500 car parking spaces as is a Holiday Inn Express hotel. To discuss how Knight Property Group can accommodate you at 13 – 15A/B/C Chapel Street, or to discuss the terms in further detail, please contact our letting agents by clicking on the logo below to email them.